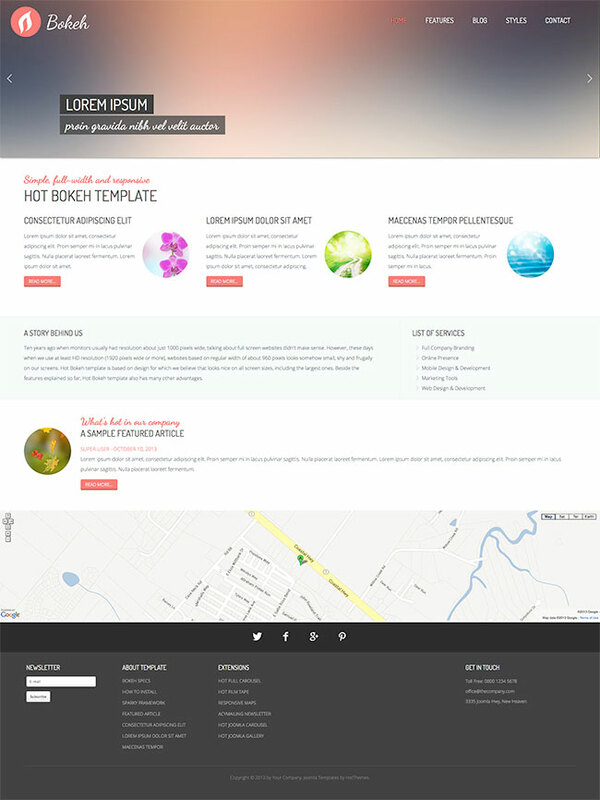 Bokeh full screen template is based on design for which we believe that looks nice on all screen sizes, including the largest ones. When you receive the next request for the development of a full screen website, don't lose the client! Instead, try this template! Ten years ago, when our monitors usually had resolution about just 1000 pixels wide, thinking about a full screen template didn't make sense. However, these days, when we use at least HD resolution (1920 pixels wide or more), websites based on regular width of about 960 pixels looks somehow small, shy and frugally on our screens. If you are in the web design business, we bet you received a request for a full screen website at least once. Trying to explain to your client that something like that is not possible or not smart will be a losing battle! Actually, you are probably receiving such requests more than once and you would receive them more and more in the coming years. Making a website which occupies entire screen is not an easy job mostly because it's hardly possible to create a design which will look good on the screen which is 2000px wide and, at the same time, look good on screen which is just about 500px wide. If we are about to make the full screen Joomla site, we must take care about all visitors, not just about those who have gigantic screens, but also about those who are browsing our site using notebooks or smartphones. 10 pre-defined styles with different colors. All colors are easily customizable in Sparky options (infinite color options). 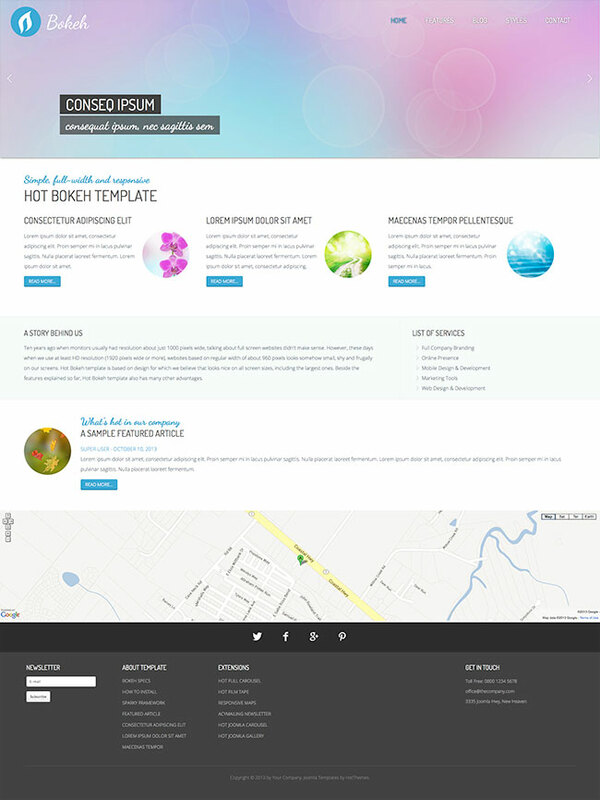 This template has the largest number of color styles of all our templates! Customization of the template's layout and adding/removing module positions is easy! It's powered by Sparky's drag and drop Layout Editor. Change layout and element's dimensions easily whenever you need. 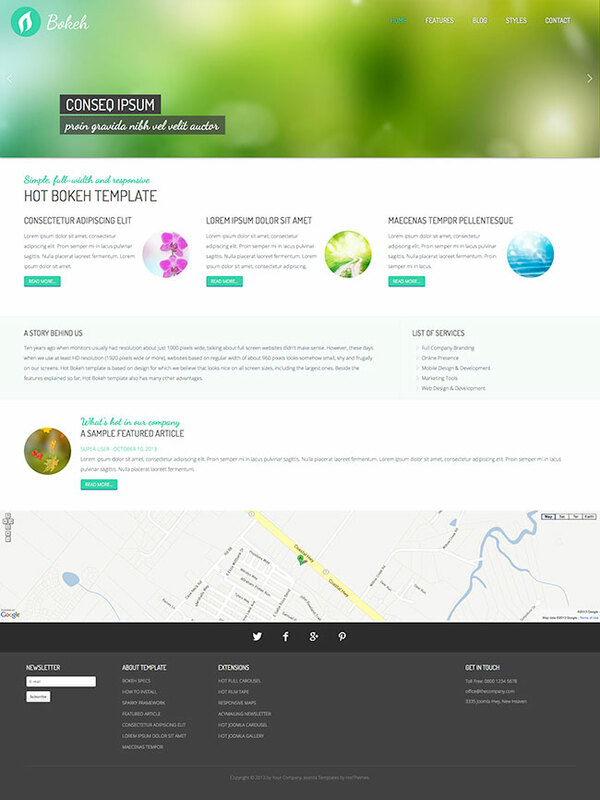 Hot Full Carousel, Hot Film Tape, Hot Maps, Hot Joomla Carousel, and Hot Joomla Gallery modules are included with the Bokeh template. AcyMailing component for newsletters management is included. 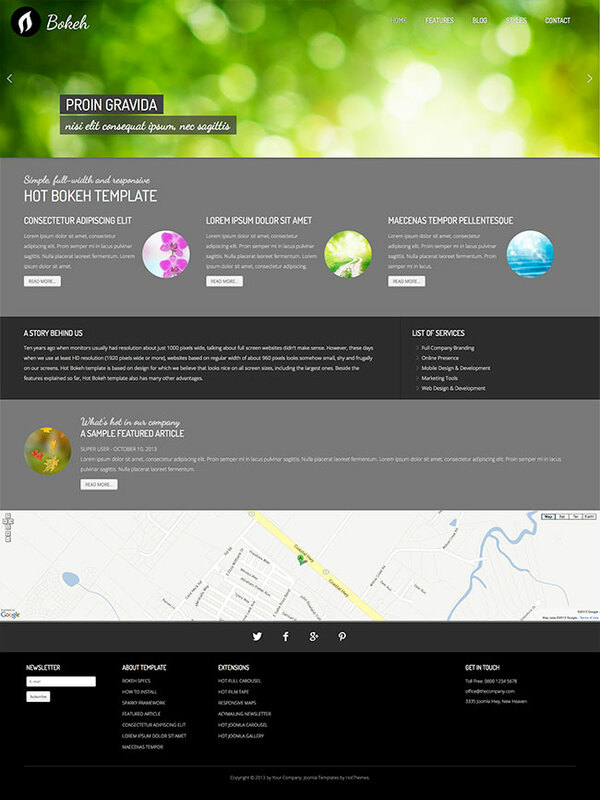 All commercial modules included in this template are free for you, if you buy template (you save $15 per module). All extensions are pre-installed and configured.